Posted on Tuesday, November 12th, 2013 at 2:56pm. iStar Residential purchased 160 condos out of foreclosure in 2009 that were developed by Boca Developers. 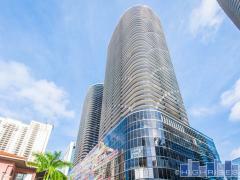 They leased nearly all of the units at the Oaks at Biscayne Landing, and are now ready to sell the units. Strong buyer interest is expected. Units are projected to start at $240,000 and sq footage ranges from 1,750-2,385. The twin tower development of 373 units was built to take advantage of the Atlantic Ocean views. It's located off Biscayne Blvd in North Miami. The current HOA plans to add several amenities, including a security gate, tennis courts, pool and fitness center, and upgrades to the lobbies and building exteriors. If you would like rental property with good income potential, let me know and I will notify you as soon as the iStar properties hit the market.